Contact frmarkssc@msn.com if you have lost the password. This year we will be meeting in Regional Synods. Priests will be available from 11am to hear confessions and the Mass will begin at noon. All brothers with PTO or a licence are encouraged to concelebrate. Lunch will be provided -please let your Regional Vicar know of any dietary requirements. 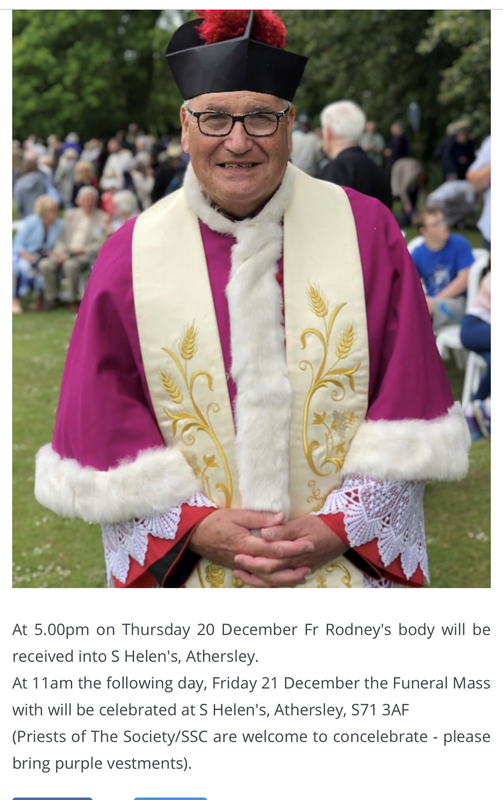 The Funeral Mass of Fr Michael Shields will take place at St Mary's Church, East Grinstead at 12 noon on Friday 11th January 2019. Fr Shields expressed the wish that priests who are members of the Company of Mission Priests, the Society of the Holy Cross or the Society under the Patronage of St Wilfrid and St Hilda be invited to concelebrate, should they so wish. Anyone wishing to do so should please write to Fr Tim Pike at fathertimpike@hotmail.com so that proper liturgical arrangements can be made. Concelebrants should be vested in alb and purple stole by 11.45am. 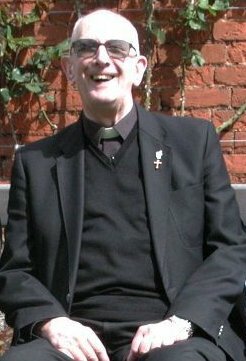 The Principal Celebrant will be the Bishop of Chichester, who is the Visitor of the Company of Mission Priests. Everyone is invited to come to the Church Hall for a glass of wine after the Mass. St Cyprian’s is a Traditional Catholic parish in the Church of England and The Bishop of Southwell and Nottingham has invited the Bishop of Beverley, to provide alternative Episcopal sacramental and pastoral care. St Cyprian’s is affiliated to The Society of St Wilfred and St Hilda, and registered with Forward in Faith. The Lord has gathered Fr Master Michael Shields SSC CMP to himself. He died yesterday mid afternoon at The College of St Barnabas. Fr Skelton writes ‘We bid an earthly farewell to great pastor and priest of Christ Jesus. Rest eternal grant unto him, O Lord; and let light perpetual shine upon him. He has been cared for so well by the college and we thank all who have had care of him there. On behalf of Frs Parkinson, Nicholson and Cartwright. All priests of The Society/ SSC are invited to concelebrate the funeral Mass of our late brother Fr Rodney Marshall. 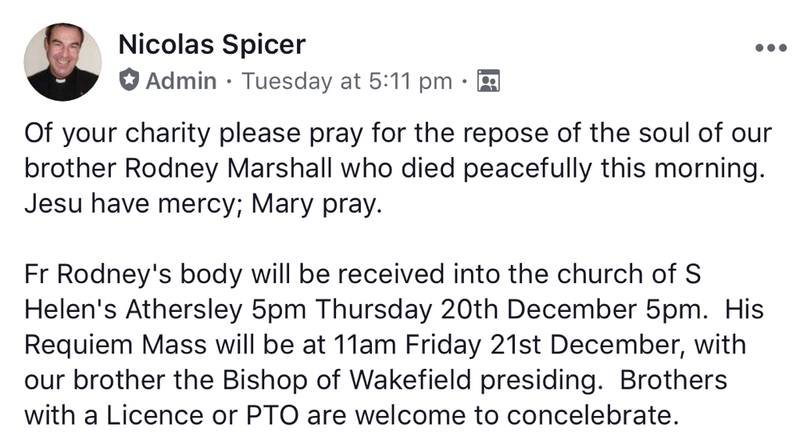 Fr Marshall’s body will be received into the church of St Helen, Athersley on Thursday 20th December 5pm followed by Vespers of the dead. 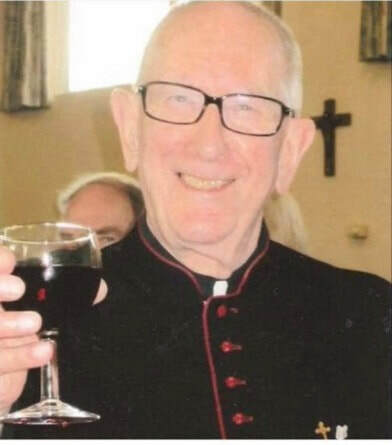 Priests who wish to celebrate their own mass in church for the repose of Fr Marshall’s soul are welcome to from 5.40pm until 8pm at one of the altars in church. This will be on a first come first served basis with prior booking via email with Fr Naylor. The Funeral Mass will take place at 11am on Friday 21st. Priests intending to concelebrate should notify Fr Naylor and be at St Helens Vicarage for 1030am at the latest. Please bring your own black vestments.